#PhilipMorrisInternational is being accused of illegal #tobacco promotion in the United Kingdom. I support an immediate government investigation into these allegations! In the United Kingdom, sales people for Philip Morris International have been caught offering potentially illegal incentives to smokers in bars to get them hooked on new heated tobacco products. 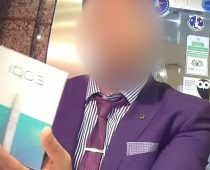 Undercover reporters were offered free tobacco, alcoholic cocktails and accessories, all of which Trading Standards said could be in breach of the Tobacco Advertising and Sales Act 2002.